There has been so much chatter about the new iPhone App for Confession (which by the way is an aid to help one examine their conscience; not a replacement for confession to a priest. But I guess you knew that.) One of my Twitter friends has posted an excellent explanation of why the Sacrament of Reconciliation is vital. You can read Sister Lisa's post over at her blog nunspeak. Thank you Sister! Some good thoughts here for us to remember. ABOVE all, God’s priest should approach the celebration and reception of this Sacrament with the deepest humility of heart and suppliant reverence, with complete faith and the pious intention of giving honor to God. Carefully examine your conscience, then. 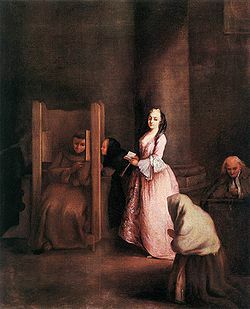 Cleanse and purify it to the best of your power by true contrition and humble confession, that you may have no burden, know of no remorse, and thus be free to come near. Let the memory of all your sins grieve you, and especially lament and bewail your daily transgressions. Then if time permits, confess to God in the secret depths of your heart all the miseries your passions have caused. - so often making lots of good resolutions and doing so little to keep them. When you have confessed and deplored these and other faults with sorrow and great displeasure because of your weakness, be firmly determined to amend your life day by day and to advance in goodness. Then, with complete resignation and with your entire will offer yourself upon the altar of your heart as an everlasting sacrifice to the honor of My name, by entrusting with faith both body and soul to My care, that thus you may be 231 considered worthy to draw near and offer sacrifice to God and profitably receive the Sacrament of My Body. For there is no more worthy offering, no greater satisfaction for washing away sin than to offer yourself purely and entirely to God with the offering of the Body of Christ in Mass and Communion. 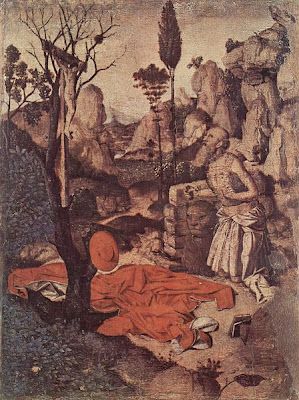 The list of sins and failings source is The Imitation of Christ by Thomas A. Kempis, translated by Robert Knox, Sheed and Ward. 'I promise you happiness not in this world, but in the other.'" Blessed be the holy and Immaculate Conception of the Virgin Mary, Mother of God. Our Mother, have pity on us. Our Lady of Lourdes, heal us, for the love and honor of the Holy Trinity. 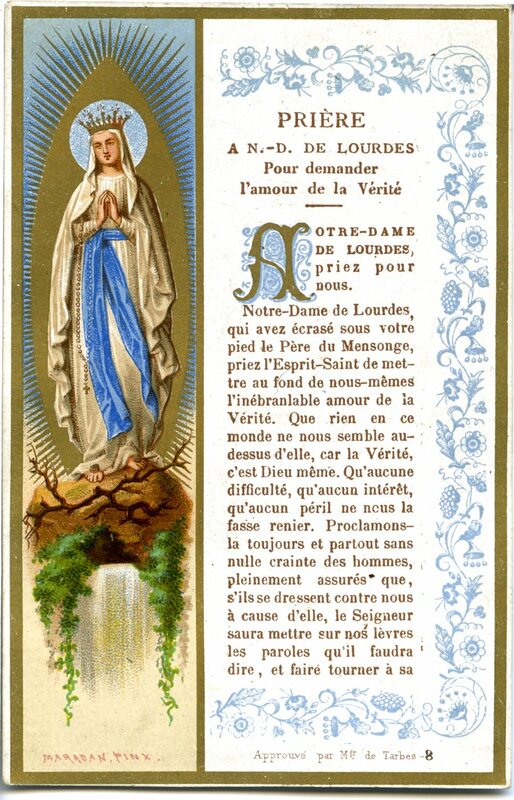 Our Lady of Lourdes, heal us, for he conversion of sinners. Succor of sufferers, pray for us. (The above invocations were actually said at Lourdes). 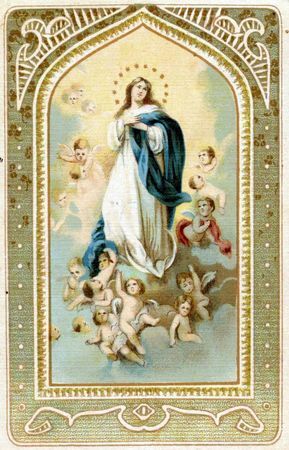 with the most unbounded confidence, to implore your maternal intercession. would hasten to walk in thy footsteps. lost in the darkness of sin. 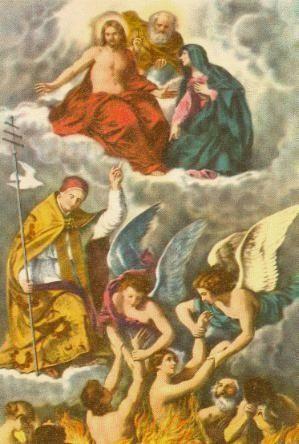 thy Divine Son, by the sweet and delightful tears of holy penance. deign to make my heart also His home. O Mary, be by me when Jesus comes to judge me. 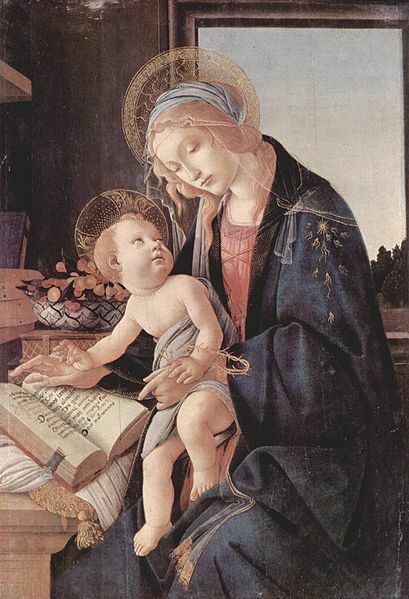 "Jesus, my Savior; and Mary, my Mother." 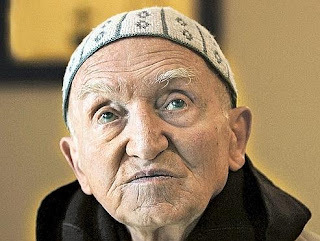 "Few indeed are those who...are present as eyewitnesses of one of those rare but terribly real occurrences in which the omnipotence of God strikes through the shadows of time and space to bind up and heal the broken bodies of men. But the evidence of these visitations is indisputable. 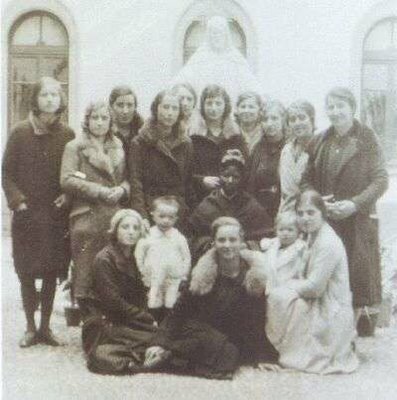 During the last century it has pleased God so to visit His people time after time at a remote grotto in the French foothills of the Pyrénées, where the Blessed Virgin Mother of God appeared in 1858 to little Bernadette Soubirous. 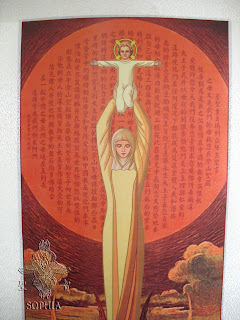 God of course chooses His own time and places and occasions for the miraculous, but His power shines forth most frequently where His Mother is honored and venerated." may your beauty and your smile warm our hearts! That is your call for repentance you find us available and generous! That our communities rely on the faith of Peter and commit to follow Christ! 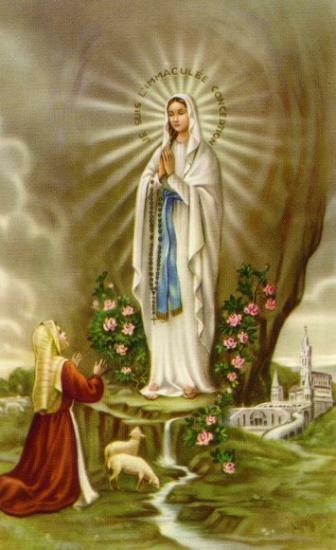 By your Immaculate Conception do we hope to rediscover innocence and desire holiness! 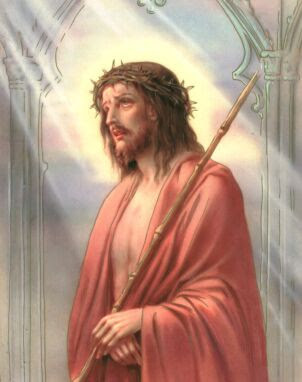 May the light of Easter rekindle in us the flame of charity! look to the people who are victims of war! give to the sick, strength and hope! come to aid, to help the poorest! like you that everyone says: yes" to the call of God! since the Kingdom of God is open! 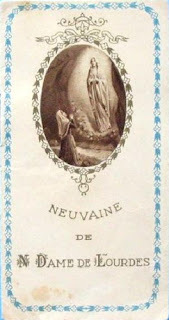 Say the prayer of the novena. - Saint Bernadette, pray for us! 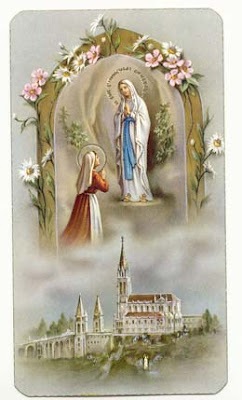 Source: Prayer card from Lourdes . 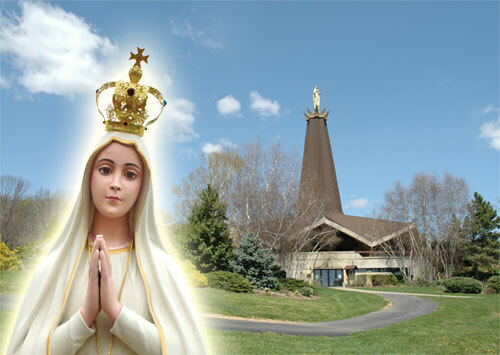 At the website you can watch live webcam at Lourdes and also place your prayer intentions at the shrine. but that You may not abandon me in it. to desire no other comforter but You. "What will be the crown of those who, humble within and humiliated without, have imitated the humility of our Savior in all its fullness!" "I must be holy, because my Jesus wants it." Just wanted to let you know that Father Calloway's book is now available in Spanish. It is entitled: Sin Mirar Atras: Un Testimonio de la Misericordia. You can purchase it at his website here. I will be remember Brother Jean-Pierre in my prayers. "How do you interpret the current tightening of some Muslims against Christians, including the recent attacks were a sign? This comes from the extremists. True Muslims say, it is not us that. They are ashamed of what happened to the brothers. This is not "religion. " On the other hand, we do not know enough. It sees itself through violent and this creates a tendency to cluster between oneself and a fear of contact. The solution is to cultivate friendship, even if we can get rolling. 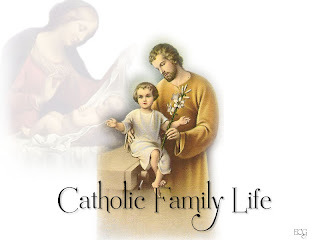 "The Church, the Home and the School--these are the trinity that mould our lives, fashion our character and fit us for the knighthood of heaven and the knighthood of earth. - while the school trains will and heart and mind to follow the precepts of truth and hearken to the voice and admonitions of God..."
The foregoing is from a paper that was read at the International Eucharistic Congress in Montreal, September 1910. It was compiled into a book entitled Essays on Catholic Life by Thomas O'Hagan. We need to remember that back when these talks were first given, in the early part of the 20th Century, almost all Catholic schools in the United States taught solid Catholic doctrine. 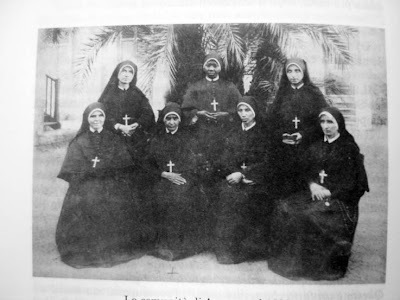 It would be interesting to find out if any Catholic families during this time period homeschooled their children. 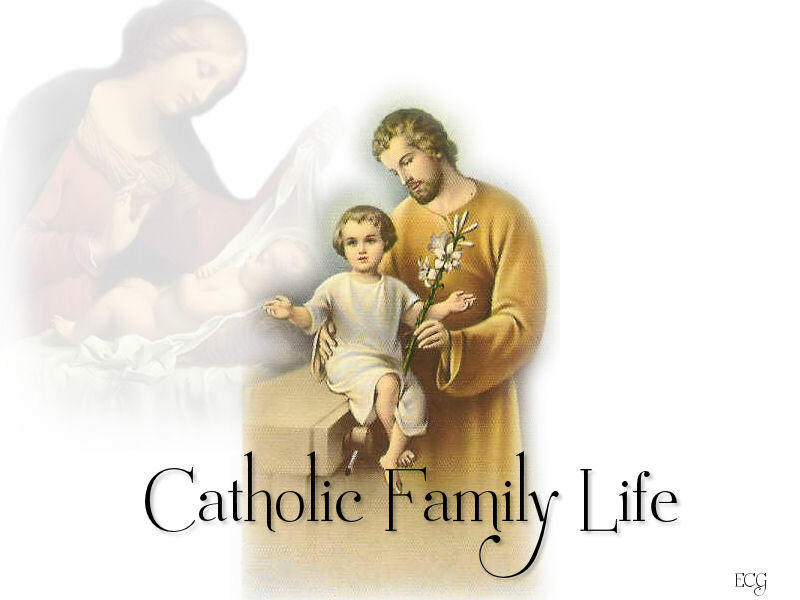 As I read the essays contained in this book, I will share other excerpts from this very useful handbook for Catholic life. 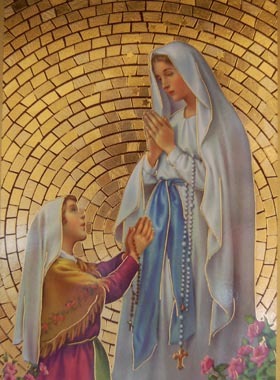 "Mary protected me even before I knew her!" 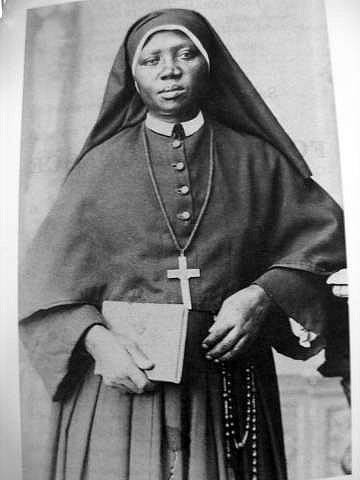 According to Catholic author Ann Ball*, no one knows the exact date of Josephine Bakhita's birth because she was stolen away from her family and her country by Arab slave traders as a young girl. 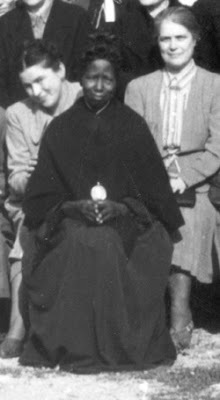 "If I were to meet the slave-traders who kidnapped me and even those who tortured me, I would kneel and kiss their hands, for if that did not happen, I would not be a Christian and Religious today…"
Other quotes by St. Josephine Bakhita also from the NBCC. I have given everything to my Master: He will take care of me… The best thing for us is not what we consider best, but what the Lord wants of us! O Lord, if I could fly to my people and tell them of your Goodness at the top of my voice: oh, how many souls would be won! The Lord has loved me so much: we must love everyone… we must be compassionate! When a person loves another dearly, he desires strongly to be close to the other: therefore, why be afraid to die? Death brings us to God! St. Josephine Bakhita, pray for the Sudan! 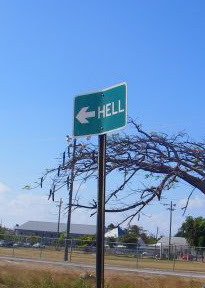 "Hell is full of Good Intentions"
There are two sorts of good wills. The one says, "I would do well, but it give me trouble, and I will not do it." The other, "I wish to do well, but I have not as much power as I have will; it is this which holds me back." The first fills Hell, the second Paradise. The first only begins to will and to desire, but it does not finish willing. Its desires have not enough courage; they are only abortions of will, and that is why it fills Hell. But the second produces entire and well formed desires; it is for this that Daniel was called a "man of desires..."
But as yet are shut out, from your final reward! From your prison below, to your palace on high. But Thee, their Creator, they never denied. Restore them, restore them to favour again. O Spirit of grace! O Consoler divine! And fill them with peace, and with joy in the end. O Mother of mercy! Dear soother in grief! And soften their flames with a pitying tear. To you will be friends in the hour of need. 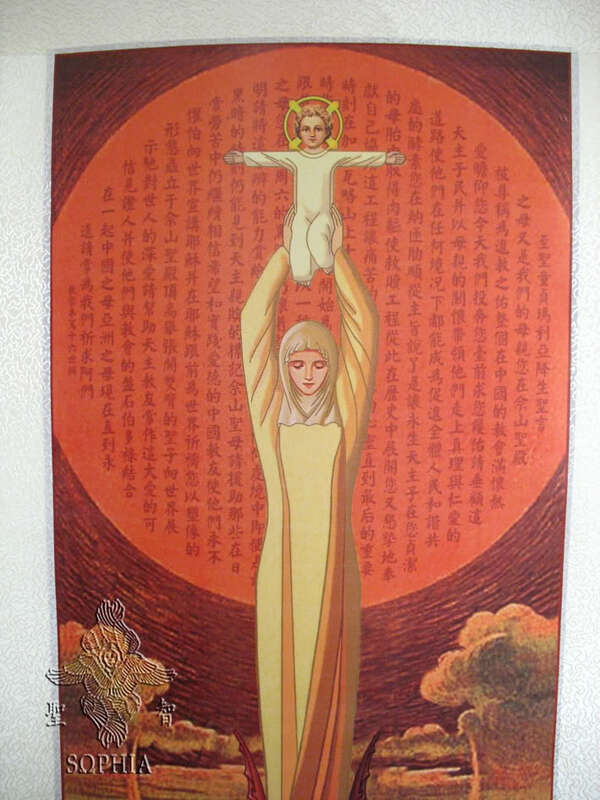 A small village on Silk Road, inhabited by 660 people, of whom 400 are Catholic (about 130 families), has given 14 vocations to the Church in recent years: 7 priests, 1 deacon, 3 religious sisters, 2 major seminarians and 1 minor seminarian. The village is Zan Jia Cun, Fu Feng district in the Diocese of Zhou Zhi, Shaan Xi province. Questiont o Ask Ourselves: Are We in a State of Sanctifying Grace?